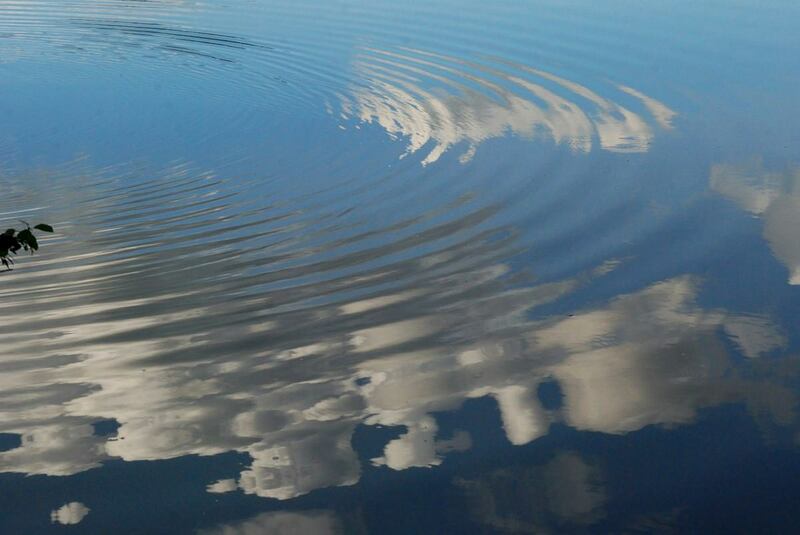 our ripples have the potential to save what drops remain. In September I became aware of a major bottling company having made a proposal to tap 1,700,000 gallons of water per day from a lake in Woodstock that I cherish. This lake feeds the City of Kingston’s water supply who then sells some of it to the Town of Ulster because they’re water is too hard and needs 700,000 gallons per day to mix with their own. Now the Town of Ulster plans to broker the deal. And I am not sure they are considering their neighbors in their effort to fill an empty business complex. Meanwhile, the DEC has washed their hands of us, County Executives have remained silent through this process and the the Governor of NY is pushing this project silently via Start-Up NY which has offered ten years of tax exemptions to Niagara. And I do believe that The Town Of Ulster has their eye on the Plastic Manufacturing plant, with or without our water. They cannot have our water, and they cannot have our Air Quality, and this is bigger than we think…At first I was scared and angry, and I still am, but joining together with concerned citizens and the few politicians who still hold integrity, I am less afraid and more determined to see the best possible result. For most of my adult life I have steered clear of social activism, and for good reason. I am well aware that my energy is very intense, my sense of directness can disarm people, and I am not always a think-before-doing kind of person. Because of that and because of my propensity to poke the hornets nest, I usually just pray from the sidelines–holding the vision of the greater intent and supporting those in the front lines. But this time I’m doing quite the opposite––taking the challenge of joining this team and working daily for the preservation of my community. I live in a “not in my back yard” Community. Many people turn out when any large construction or possibly environmentally damaging project comes to the table. Once in a while for me, it feels completely necessary to jump in and say no. This is one of those times. What I’m learning most about this process is that civic engagement comes in many forms and colors. There’s so many different ways to become involved–educating your community, holding politicians accountable and spreading the word. There is a large movement of concerned community involvement, and we are so blessed for the work of Kingston Citizens, Woodstock Land Conservancy, Esopus Creek Conservancy, The Woodstock citizens group; Save Cooper Lake, Riverkeeper, Transition Woodstock, The Alderman of Kingston, The Woodstock Town Board and and all of the other people who seem to be joining the effort. In the last two months I have learned more about policy then I ever cared too before, and I’m glad. But even more so, I am learning about myself. This experience has been very telling about my own personality and relational tendencies––and why I so often choose to stay off the front lines of civic activity. If I don’t hold myself in check, it becomes a fight and suddenly I look at myself roped in to the battle. I make rash decisions and misjudgments, I become counterproductive and my energy is best spent elsewhere. And the honest truth is that there’s no formula––and I certainly don’t have even half of the answers. And fear and anger only cloud the way to solution. So it appears that once again, as usual, I have to Keep myself in check. My ego, my intensity, my fear and judgment are all part of the “fight” and my work is, to keep my focus on the scrutiny of the situation at hand and recognize that each of us has a drop to add to the bucket, and there is a ripple effect. As we all need to be thinking every drop proverbially and literally. When I think every drop of energy that I put into the bucket while the bucket either spills over the top, or leaks from the bottom, I come to a really strong sense that every drop matters… And our ripples effect. Whether they be prayers or physical presence or letters to Lawmakers or songs or water filters–– there’s always something you can give and there’s always something to be checked and there’s always something to be balanced. Right now, the balance that I’m working with personally, is recognizing that if I look at this as a fight then I will be fighting for the rest of my life. This does’t have to be a fight, it can be a unifier. I want to see the results that I, and those working together for a sustainable future can bring. I am so overwhelmed with emotion that sometimes I am not sure where to direct my intense ball of energy. I can sometimes (more often than I would like) move with rashness… Combined with my brashness, this can be a detriment to myself and the vision at hand. I am learning that I cannot be so selfish as to protect myself from what comes up for me when I join the effort, but instead continue to stay involved, and to check and balance my efforts, and hold a vision. It is my honest and true belief that together we can stop this WHOLE project, and we can only do it together, with clear vision. WE are the checks and balance that these officials need, and many of them would like to discredit ourselves and our actions. I recognize my own need to check and balance myself in this effort, and stand together with my people to protect our resources. As long as citizens sit back, the politicians step up––and not to the plate–– but to push for what they believe feeds their interests. Well said. Well done. Wish I could be there.